What can these female dress forms be used for? 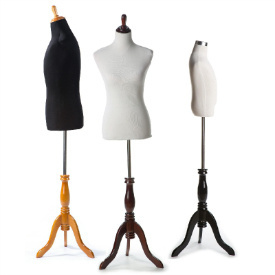 Our female dress forms are used all over the country by stores to display women's clothing (including online sellers for product photography) and by amateur tailors for styling, draping and sewing. 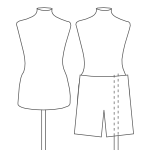 What is included in the female dress form package? 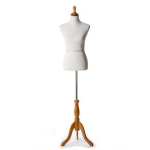 The female floor standing dress forms are full packages that include the torso, torso cover, neck cap, and base. 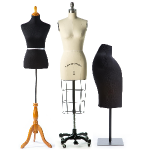 We offer the cheapest and the most configurable choices of the dress form package. We generally carry six sizes in these standard female dress forms, from size extra small to size extra extra large. The exact sizes and their measurements are shown on the product pages. 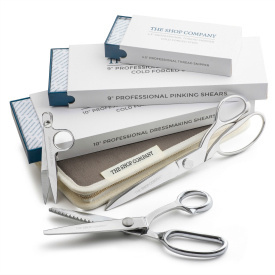 You can choose the size you want (as well as the color) directly from the product page. The above is in regards to these standard form. 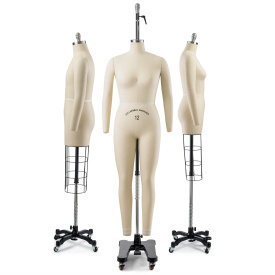 We usually carry up to 11 different sizes (0-20) in our professional female forms. The female forms in this category are our standard model. Our professional forms can be found here. Basically, these standard dress forms were created for their appearance while the professionals were created for their function. 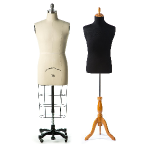 Both can be used to display clothing and both can be used to make clothing, only that the professionals are better suited for the latter. 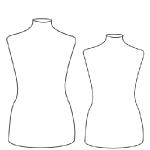 These standard woman's dress forms are pinnable. 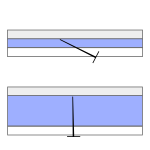 However, as with most of the dress forms on the market, the pin must be inserted at an angle (as shown in the top diagram) and not directly (as shown in the bottom diagram). Should you require direct pinning, we do carry a professional dress form model and several tabletop dress forms built for this task. Can they be used to display woman's pants as well? While our dressforms are meant to display tops (such as shirts, jackets, coats and dresses), they can still be used to display trousers as well. Dual connectors on the underside of our forms allow them to be attached to the pole either through the center of through the left side (through a pant leg). All of our floor standing models and many of our tabletop models have these dual connectors. 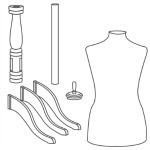 We carry a full line of dress form accessories for our dress forms (dress form accessories). In addition, we also carry over a dozen different colored covers for our female dress forms.